For 11 years, Chang Xiaobing headed two highly profitable Chinese state telecommunication companies. 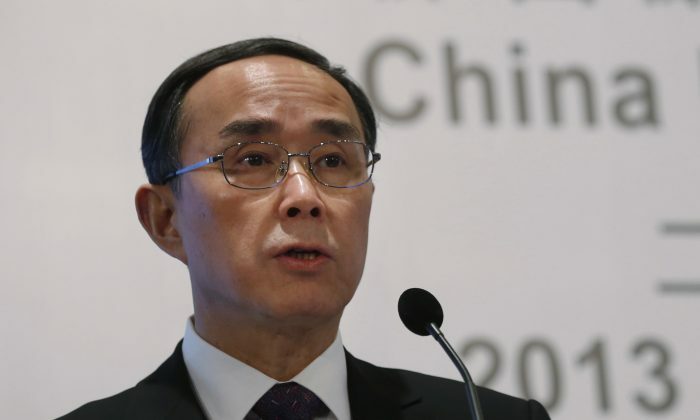 After barely four months as chairman of China Telecom, however, Chang was formally investigated by the Chinese Communist Party’s internal disciplinary agency. On Dec. 27, the Central Committee of Discipline Inspection (CCDI) announced that Chang, 58, was placed under investigation for grossly breaching Party discipline. The charge usually implies massive bribery and official malfeasance and has been used, it seems, every day since Party leader Xi Jinping began an anti-corruption campaign in early 2013. Chang Xiaobing is the latest and highest ranking state telecom executive to fall in the current probe of the Chinese regime’s telecom sector. Analysts say that the telecom probe, which began last December, is aimed at the son of former regime and powerful Party faction leader Jiang Zemin. Party anti-corruption officials may have arrested Chang, the former head of China Telecom, as early as Dec. 26. That day, Chang didn’t answer several calls by a Caixin journalist, and a mid-ranking China Telecom staff also told the Chinese business magazine that an important annual meeting Chang was supposed to attend on Dec. 28 was suddenly cancelled. Chang Xiaobing previously helmed China Unicom from 2004 until this August. China Telecom and China Unicom are the country’s second and third largest public telecom companies respectively, according to Forbes. Before entering the lucrative state-owned telecom sector, Chang held several positions in the Chinese regime’s Ministry of Information Industry, eventually becoming its director. Official investigations into China’s telecom giants began last December with Chang Xiaobing’s old company, China Unicom. Then, two China Unicom general managers, Zong Xinhua and Zhang Zhijiang, were taken away. Chang sold all his shares in the company, and senior officials at the company had their passports confiscated. Board executives were made to acknowledge their errors and repeat anti-corruption nostrums, and investigators set up a “feedback” session in an auditorium in which the rank-and-file exposed wrongdoing in the firm. Some of these complaints about the corrupt culture of the firm later emerged in the press and online. The purge of Chang Xiaobing, by any accounts a person at the top of the telecommunications hierarchy, is likely not the end of Wang Qishan and Xi Jinping’s probe into China’s state-owned telecom industry. By February, the Party’s anti-corruption agency collected enough evidence of malfeasance at China Unicom to present to Chang Xiaobing a damning report—top executives were guilty of taking bribes and sexual favors, practicing nepotism, and other corrupt behavior. Next on the list was China Mobile, the world’s largest carrier by subscribers, and China Telecom. In April, China Telecom’s former vice general manager Leng Rongquan became one of the first high-ranking telecom executives to be taken away. In mid-June, Dong Hong, the director of the CCDI’s 12th inspection team, accused the leadership of China Mobile and China Telecom of having “formed a parasitic family that hunted and feasted on state assets.” Shortly after Dong’s denouncement, anti-corruption chief Wang Qishan formally opened investigations into 26 state-owned companies, including China Mobile and China Telecom. By August, there were signs that Chang Xiaobing was headed for a fall—despite having been with China Unicom for over a decade, he was suddenly made to swap companies with then China Telecom head Wang Xiaochu. A little over four months after the move, Chang was formally investigated. The purge of Chang Xiaobing, by any accounts a person at the top of the telecommunications hierarchy, is likely not the end of Wang Qishan and Xi Jinping’s probe into China’s state-owned telecom industry. Rather, analysts say the purge is a key step toward investigating the figure who actually held sway over the industry behind the scenes for so long. Overseas Chinese newspapers have referred to Jiang Mianheng as China’s “Telecommunications King” because he had from the mid-1990s acquired a significant stake in the country’s telecom industry through an investment company that ostensibly belonged to the city of Shanghai. Jiang is believed to have pursued his business interests by leveraging his status as the son of Jiang Zemin, who was the most powerful man in China as Communist Party leader for over a decade. That Jiang Mianheng could wield immense influence without a corresponding formal title was illustrated by Shanghai Alliance Investment Ltd.‘s purchase of China Netcom, a struggling company whose holdings were suddenly boosted in 2002 after it was handed half of China Telecom’s infrastructure by the Chinese regime. Edward Tian, then China Netcom chairman, had let slip that Jiang was “the actual head of the company,” according to researcher Bo Zhiyue. At the time, he was merely a board member. Present or past association with Jiang Zemin has been risky since Xi Jinping started his anti-corruption campaign in 2013. Over the past two years, Jiang’s top lieutenants—former Chongqing boss Bo Xilai, former security czar Zhou Yongkang, and state oil magnate Jiang Jiemin (no relation to Jiang Zemin)—have been accused of corruption, expelled from the Party, and are currently serving lengthy prison sentences. Former China Telecom chief Chang Xiaobing is known to have close links with Jiang’s confidants: Wang Xudong, the former minister of information industry and Jiang’s trusted aide, as well as Lu Yimin, current China Unicom president and former secretary to Zeng Qinghong, Jiang Zemin’s powerful political enabler. 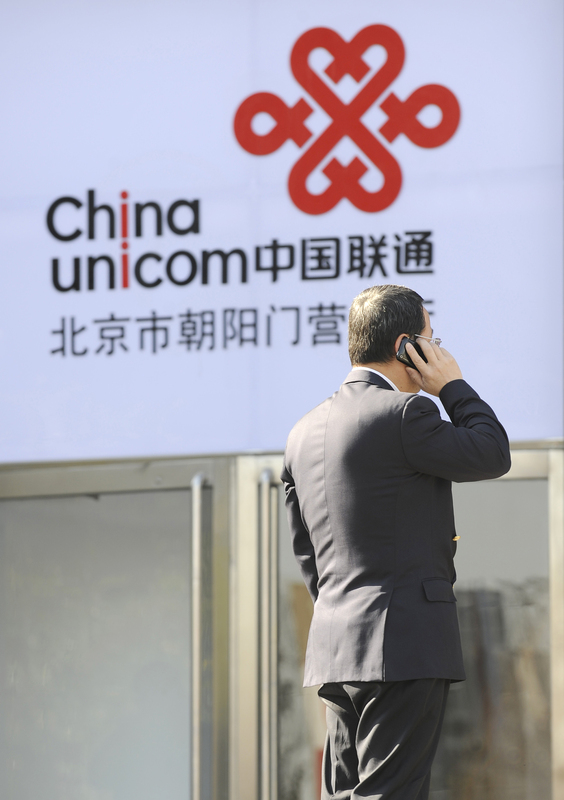 Dozens of staff at China Unicom had family members that did shady business with the firm. The investigation of SAIL is the latest step by anti-corruption investigators into Jiang Mianheng, and by extension his father's, political power.